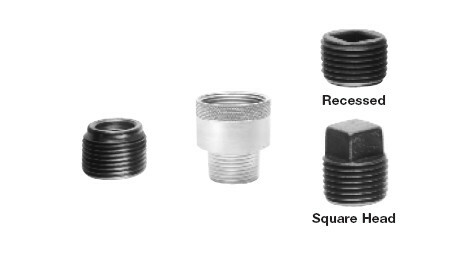 RE and REC reducers are used in threaded heavy wall conduit systems. RE reduces conduit hubs to a smaller size. REA adapters enlarge drilled and tapped openings by 1 NPT size. REC connects two different sizes of conduit together or is used to replace a coupling and reducer in an installation. PLG plugs are used for closing threaded conduit hubs. Download the RE and REC Series Explosionproof Reducers, Couplings and Plugs spec sheet below or call 714.835.6211 for more information.